Increase the Value of Your Car Before You Sell It! Having a car is an asset that can make life so much easier by providing safe and convenient transportation options. You can avoid traffic jams and get to your appointments on time and with a few extra minutes to spare. Thus, it is not a surprise if people who own cars go the extra mile to ensure that this valuable property is always maintained in peak condition. Yet there are times when one cannot avoid unforeseen events where your auto can suffer the brunt of such incidents. For instance, getting caught in a sudden hailstorm can inflict damage on your car and which will definitely lessen its over-all appeal. You don't want to be cruising around town with that ugly dent on the hood that mars the otherwise flawless finish. So, stop worrying because you have just met the best service provider who can effectively get that dent removed and have your flawless finish back in a flash! Dents Away is your resident hail dent removal expert in Toledo, Ohio. We offer services that have been tried and tested for a number of years now, gaining us the kind of reputation that is truly laudable. Due to incomparable automobile repair skills, many clients have opted to retain us as their trusted source of low-cost and efficient windshield replacement and paintless dent repair services. We use metal picks and rods to massage the dings in the finish of your automobile. Our team works on the dents and dings from the inside panels of your vehicle and gently pushes the damaged part of your car out to make it appear flat again, like it was in its original state. If you think there's just no way to fix dents caused by a hailstorm, then your problem is over because we assure you that we can professionally remove all traces of hail dents on any part of your car's body. Furthermore, you don't have to wait for days for us to get your car repairs done while you compete with the swarm of human traffic for a seat on the public bus. You wouldn't be having that trouble at all because we are fast but efficient in performing our job. 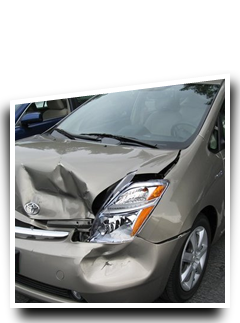 Count on our experts to perform car body repair services in a meticulous manner. Our paintless hail dent repair technicians use innovative techniques to solve your unique auto body repair needs. With their expertise and experience, our team of professionals is able to see the fine details of the damage done to your car and they can evaluate where the "high points" of the ding are. Working from the outer edges of the dent towards the center, we push the ding by modulating the pressure needed to put it back into place. Other technicians simply hammer dings, dents and creases back to their original form. We use a more refined approach in handling damages to the body of your car or truck. Applying advanced technology in reconditioning your car, your custom paint will stay in place. We massage the dents in your car back into place until your vehicle is fully restored. In Toledo, Ohio, our auto body repair shop will save the integrity of your car's appearance and paint finish. When our team of PDR technicians massage the damage to your car and push it back into place, we do so with patience. We do not want to split the paint and ruin the beautiful custom paint or original factory finish of your vehicle. Rely on our paintless dent removal technicians to restore your car's sleek design and lovely appearance. With our same-day services, you can start using your car again in no time! We provide efficient services in a fraction of the time it takes for other auto body repair shops to finish working on your car. 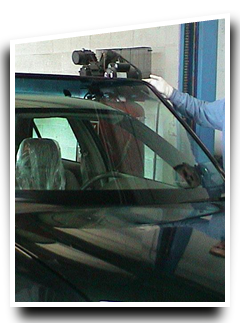 We use sophisticated tools and equipment that are appropriate for your auto body repair needs. That is how competent Dents Away is. We don't waste time unnecessarily tinkling around in your car because we want to get our hail dent repair and removal services done pronto. You can be confident that Dents Away is only interested in your needs in Toledo, Ohio! Minor damage to your car or truck's body will be well taken care of by our helpful team of diligent technicians. We will remove dents, dings and creases and make them flat, blending with your car's fluid lines and body. Our team works hard to restore your car so that when the dent is pushed back to its original position, the paint texture of your car remains the same. There will be no noticeable difference in the original appearance of your car once our team of car technicians has finished working on it. You will be pleased to have your car looking like it is brand new! 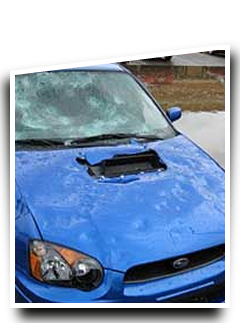 We pride ourselves in our flawless work in hail dent and windshield repair and replacement services. We facilitate and implement quality repairs for the damages to your car that are caused by environmental elements. Hail damage is a common cause of minor dings and dents in vehicles, and hail dent repair is one of our most in-demand services. We have the necessary resources to do an outstanding job and have your car fixed as quickly as possible. Our flexible services also allow our customers to prioritize the repairs that they need. With our specialization in paintless dent removal services, you can rest assured that your car's value is protected. Your car is a valuable asset and having its original paint finish undamaged makes your vehicle more marketable. Our customers can capitalize on the cars that they have checked in because we give back their vehicles in top condition. We assist customers in managing the cost and time involvement of undergoing car repair. Our team of PDR technicians is expert at traditional auto body repair techniques, but we keep up with innovations in the auto repair industry. Using paintless dent removal services for our customers' cars or trucks, we do not want our customers to spend an enormous sum for unnecessary services. Paintless dent or ding removal services are not only more inexpensive, but the process is also faster and the effects are much better. Our team of professional technicians is well-trained with the repair tools and techniques they need in order to give quality services to their customers. Over the years our clients have trusted us to take care of their vehicles. Because of the experiences we have had, our team is familiar with different models and makes of cars. Call our team of PDR technicians today and experience satisfactory auto body repair services with a leading company in Toledo. We will have your automobile looking good and running in top condition again! We complete our task without much ado. You'll just be taken aback at how well we accomplish whatever services you hire us for. Whether you need hail dent removal and repair services or replacements for your damaged windshields, we can complete the job with high-quality at a low-cost!